May contain traces of nut. Unsuitable for small children - risk of choking. 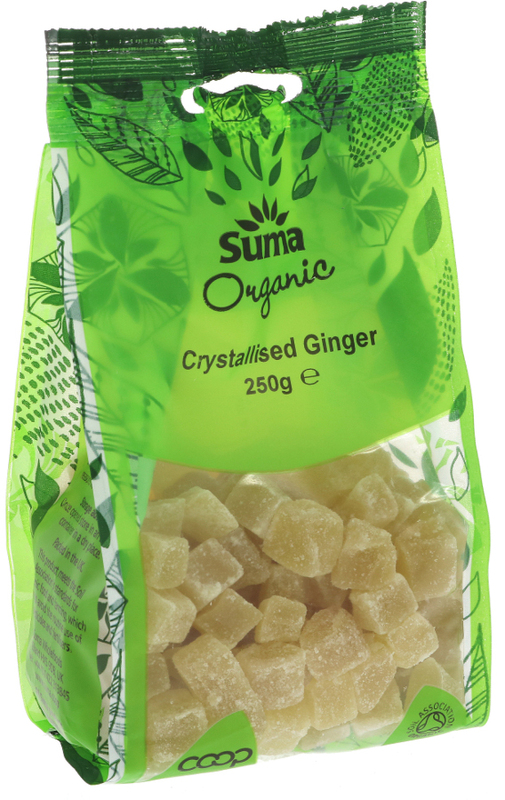 The Suma Prepacks Organic Crystallised Ginger - 250g product ethics are indicated below. To learn more about these product ethics and to see related products, follow the links below. Too sugary. The Australian ginger from Booth are definitely better and junkier, although not organic. I'm an addict ... especially in winter. Great for adding a chunk or two to the morning muesli or cereal. Peps up the cereal and peps up the eater. 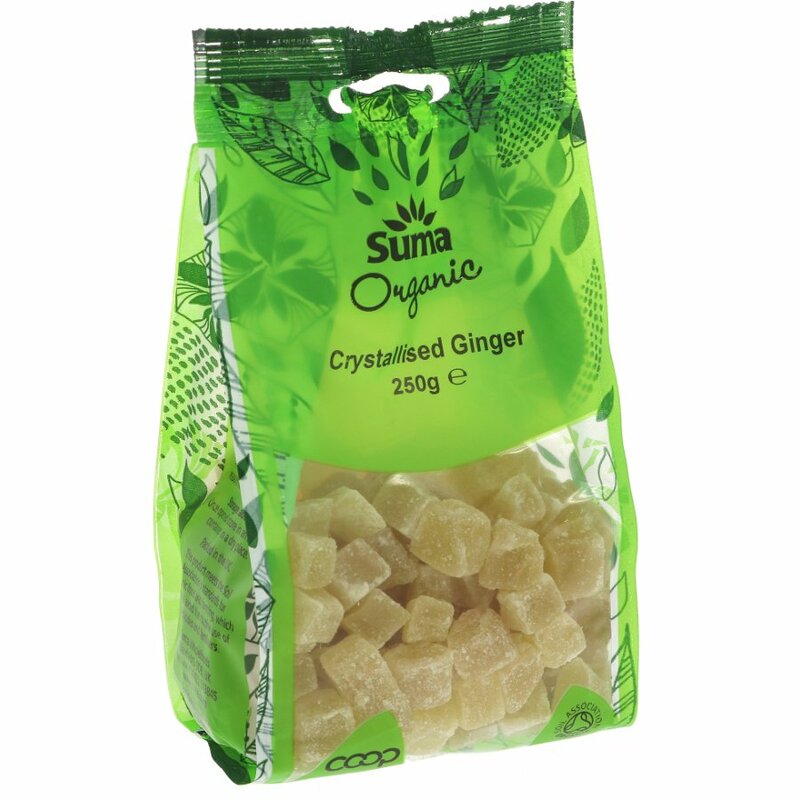 There are currently no questions to display about Suma Prepacks Organic Crystallised Ginger - 250g.